Carbon monoxide poisoning is a dangerous issue that seems to be occurring more and more often in South Carolina and across the country. With news stories outlining how whole families are found deceased in their apartments or hotel rooms due to the poisonous gas, it’s important to be aware of what carbon monoxide is and how it can affect you and your loved ones. I’ve put together this list to inform South Carolinians of the dangers of this invisible gas, with the hope that it can prevent tragedy. How does CO poison you? What are some signs of a carbon monoxide leak? Are carbon monoxide detectors required in South Carolina? How to treat CO poisoning? Can I hire a lawyer for carbon monoxide poisoning? If you or your loved ones have experienced carbon monoxide poisoning, please know that you may have options to hold the responsible parties accountable. Our team at the Law Office of Kenneth Berger is here to answer your questions, guide you through the legal process, and help you get the treatment you need. Carbon monoxide (CO) is a colorless, odorless gas that is poisonous when breathed in, with many calling it the invisible killer. It is produced by any device or appliance that burns fuels like gasoline, kerosene, wood, coal, natural gas, oil, or methane. 2. How does CO poison you? When inhaled, CO keeps your blood from being able to carry enough oxygen to the rest of your body and can rapidly harm your heart, brain, and other organs. High levels of carbon monoxide can kill quickly, but being exposed to low levels of the gas can also have detrimental, long-term effects on your body, including permanent brain damage. Charcoal is burned in an enclosed space. 4. What are the symptoms of carbon monoxide poisoning? The level of exposure to CO will determine the symptoms you experience. If you begin to experience these symptoms and believe that you’ve been exposed to the toxic gas, quickly move into fresh air, which will help to replenish your oxygen levels and limit damage. Higher levels of carbon monoxide quickly become dangerous because the lack of oxygen can cause gradual unconsciousness. After passing out, the poisoned person will continue to breath in the poisonous gas, which could lead to death if they’re not found in time. 5. What are some signs of a carbon monoxide leak? It’s easy to mistake symptoms of CO poisoning with having the flu, but if you suspect that you have been exposed to CO gas, keep an eye out for other signs of a carbon monoxide leak. This may include a family pet suddenly dying or multiple people within the same building or apartment complex experiencing the same symptoms. Another sign is if your symptoms disappear or minimize when you’re at work, at school, or while running errands, then reappear when you return home. 6. Are carbon monoxide detectors required in South Carolina? n 2013, South Carolina updated its building and fire codes to match the 2012 versions of the International Building Code, International Residential Code, and International Fire Code. These codes require the installation of CO alarms in some new and existing buildings like hotels, boarding houses, dormitories, apartment buildings, hospitals, and residences that contain a fuel-burning appliance or an attached garage. 7. Can CO poisoning be prevented? Though it may seem like some of these carbon monoxide poisonings are unavoidable accidents, it’s important to know that most of the time these “accidents” can be prevented. All fuel-burning appliances, forced-air furnaces, and fireplaces should be checked professionally at least once per year or as recommended by the manufacturer. If renting your home, talk to your landlord to make sure regular maintenance occurs. Install a carbon monoxide detector in your home. As seen above, if you are renting a newly-built apartment, or your rented home has fuel-fired appliances or an attached garage, your landlord is responsible for ensuring a working CO detector is installed. 8. What are the long-term effects of carbon monoxide poisoning? According to Headway, a non-profit dedicated to helping people with brain injuries, acute CO poisoning can lead to severe long-term neurological problems with disturbances in memory, language, cognition, mood, and behavior. Severe exposure to CO can also increase your chances of developing coronary heart disease. 9. How to treat CO poisoning? If you think you’ve been exposed to carbon monoxide, the first thing you should do is find fresh air immediately to replenish the oxygen in your body as quickly as possible and call 911. In most cases, treatment will include breathing pure oxygen through a mask to raise the oxygen levels in your blood. Though rare, hyperbaric oxygen therapy may also be used if you’ve been exposed to high levels of CO. Hyperbaric oxygen therapy is a treatment in which you’re placed in a pressurized oxygen chamber. The higher air pressure speeds up the process of replacing the CO in your bloodstream with oxygen and can help minimize long term damage to your brain, heart, and organs. 10. Can I hire a lawyer for carbon monoxide poisoning? If you have endured CO poisoning in South Carolina, an experienced injury attorney may be able to help you hold the responsible parties accountable. A lawyer can investigate who should be held accountable, whether it’s your landlord, property manager, the product manufacturer, or the company who was hired to install or maintain the equipment. Once liability is established, a lawyer can help you recover damages for items including lost wages, past and future medical bills, and lost quality of life. 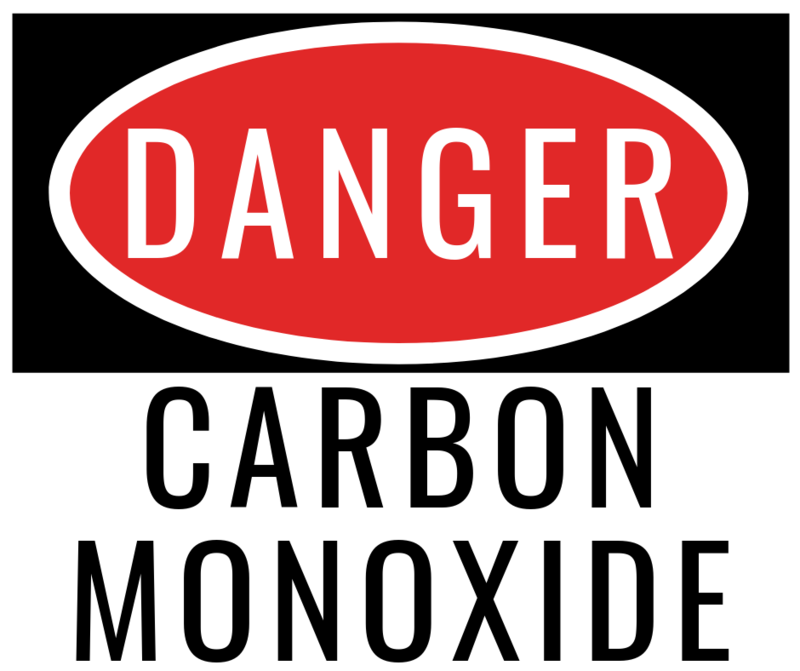 Furthermore, if your loved one died due to carbon monoxide poisoning, a lawyer may be able to file a wrongful death lawsuit. If you or a loved one has suffered carbon monoxide poisoning in South Carolina, I encourage you to consult an attorney to learn more about your rights, and what can be done moving forward. Call our firm today at (803) 790-2800 or use the live chat box below for a free consultation.